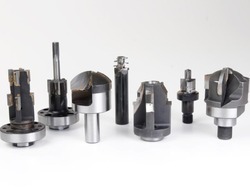 We offer extremely short lead times for manufacturing milling cutters. Cutters with Special Profiles made to specific requirements of the customer in Single. Multi and Interlocking profiles can also be had on specific request. We provice Form Relieved Milling Cutters. With our vast industry expertise, we have been able to offer Form Cutters. These products are fabricated using quality raw material procured from reliable vendors of the market. Have wide industrial applications, our range is widely availed by a number of customers. We are specialized in producing form cutter which is a best tool to meet your needs. We can create custom form cutters for our customers that are a perfect amalgamation of strength and durability. We can also provide a customization as per customer drawing and requirement. These products have dimensional accuracy and long lasting life. We are offering Form Cutter to our clients. The vast Special Form Cutter range offered by us are superior functioning industrial tools in the market. Our Special Form Cutter is in huge demand by several engineering industries in the country for their wider application area - Tracer milling, Profile milling, Face milling & Plunging. Professionals make us ahead among precious consumers due to offering Tipped Form Cutters. 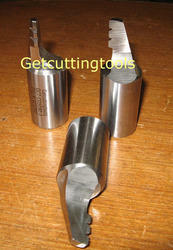 These cutters are damage free and made by experienced professionals using best tools. Moreover to this, these presented products have longer life and rust proof nature. We ensure safe delivery of this cutter. With extensive knowhow in this domain, we are indulged in providing a supreme quality gamut of Multi Step Form Cutter.